Multi-channel approaches also necessitate cross-government collaboration to ensure informed decisions and next best actions are available to enhance constituent service. By leveraging cloud and deploying a solution that guides customer service agents through the interaction, government organizations can implement an enterprise, customer service solution more easily than ever before. 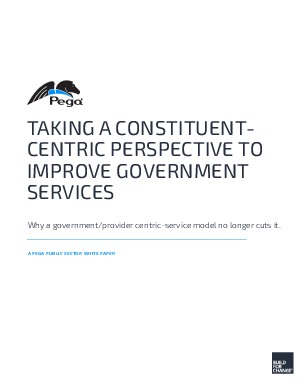 Download Taking the Constituent-Centric Perspective to Improve Government Services to better understand the challenges governments face and the solutions they need to embrace in order to meet their constituents’ needs.